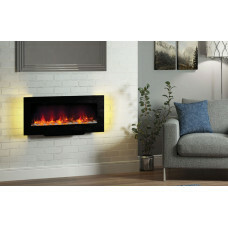 Electric fireplaces are a quick and easy feature to add to a room due to the lack of venting and chimney required to install; simply hang on the wall and plug in. 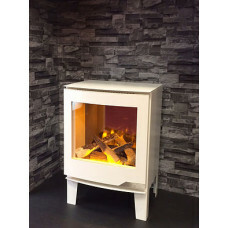 Not only are electrics an extremely easy install they provide a remarkable realistic flame appearance with the option to also have no heat come from the unit and use only as a decorative element. 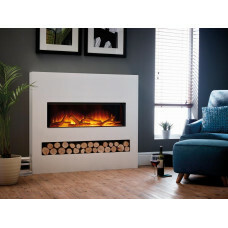 Electric fireplaces will provide heating for a small room in your home allowing you to zone heat the areas you use most often. 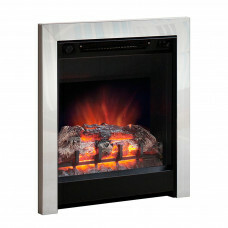 Not only do electric fireplaces provide heat, they are a safer alternative as the glass will NOT burn to touch. 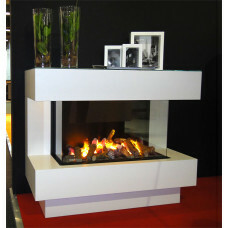 All of Napoleon’s Slimline Electric Fireplace Series has the heat protrude from the top of the units therefore the lower half of the unit will be cool to touch preventing fingers from getting burnt. All electrics come with a convenient remote control for flame and heat adjustment, as well as an optional wall thermostat if you prefer. 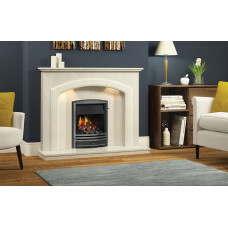 Another alternative is an electric fireplace insert that include a mantel with the unit, where for those of you who are interested in heat free electrics, you can safely place your television above. If you’re in the market for a new heating source be sure your choice matches up with the needs of the home. 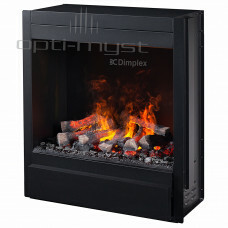 Electric fireplaces are a much cheaper installation without the need for venting and a chimney, and cost as little as 18 cents an hour to operate, therefore a more affordable choice. 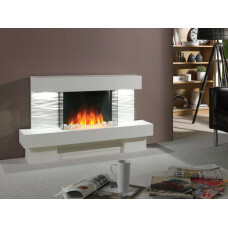 Electric Fireplaces are great in an apartment, condo, or house and will save space for smaller rooms as it does not take up any floor space. Electrics are a great secondary heating source for smaller rooms in the home allowing you to turn your furnace down. 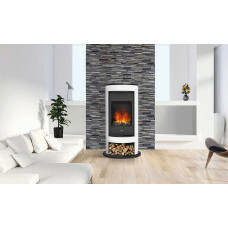 If you are interested in the fireplace as purely a decorative addition for the office, waiting room or home, electric is a great choice because of the convenience of just hanging on the wall, as well they require no maintenance or cleaning like other fireplaces would need each year. Not to mention they are completely safe and parents can live worry free while still enjoying the warmth of their fireplace. 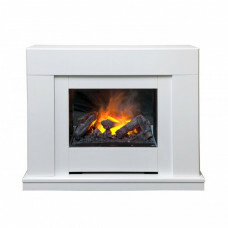 If you’re concerned about the eco friendly aspect, all of our electric fireplaces are 100% energy efficient, and are better for the environment as there are no emissions.